Scritchy sisters Lavinia and Emmeline Twitchell squabble constantly, and their parents suffer with a noisy, divided household. When the girls are "discovered"by a creative vaudeville producer, their spectacular fights become entertainment. Stardom seems wonderful but will growing up spoil their success? Laura Aimee Garn has worked as a designer and freelance writer. 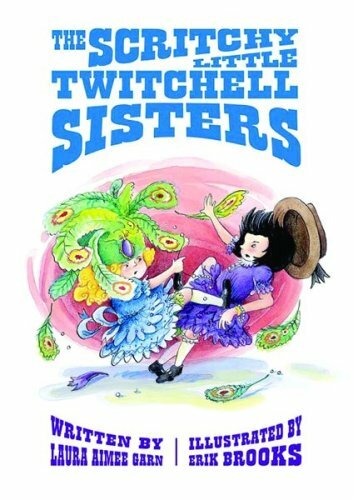 She has two daughters, Louisa and Emma, who inspired "The Scritchy Little Twitchell Sisters." Aimee and her husband and daughters live in New York City.